Enter the Dynarette - a curved cushion that is placed on the left thigh to raise the guitar to the same level and angle as with a footstool. The upside is both feet are on the floor and both buttocks are evenly weighted on a chair. 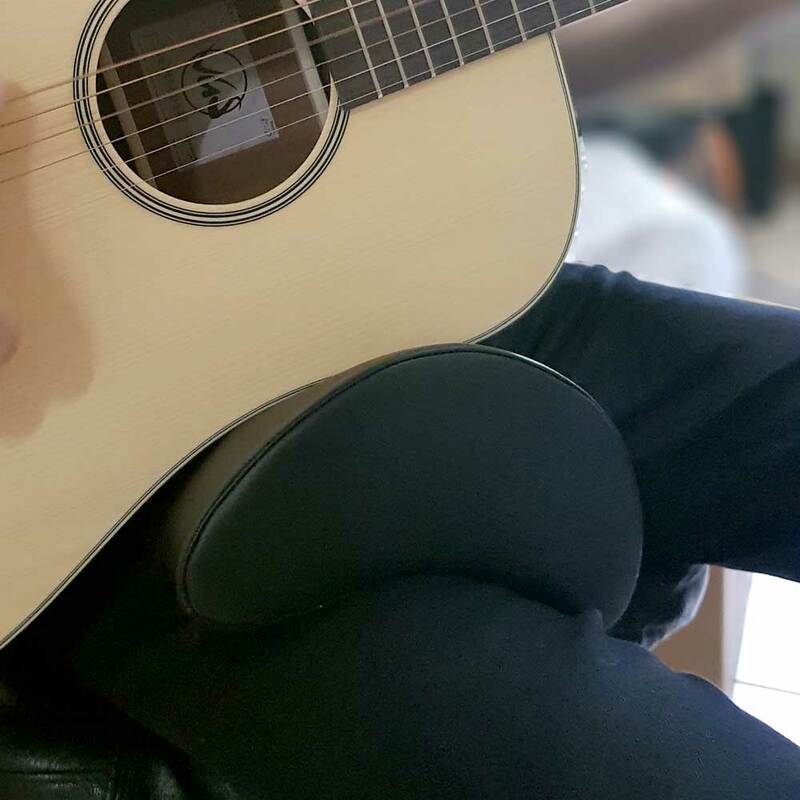 Wrapped in a black leather-like material, the cushion is for right-handed guitarrists only and comes in two sizes, large (raises the guitar by 5.5 inches) and small (raises the guitar by 4 inches).